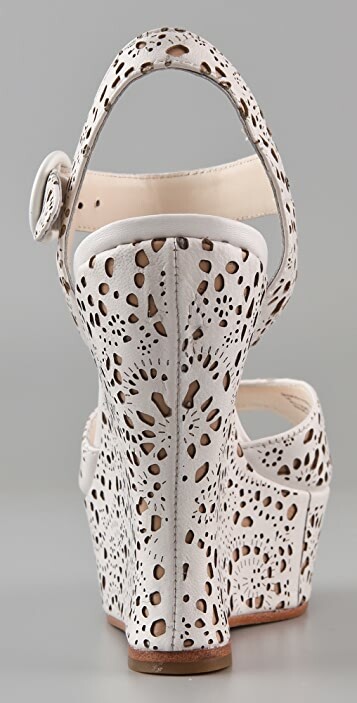 These leather wedge Alice + Olivia sandals feature a laser-cut lace pattern and a buckled ankle strap. 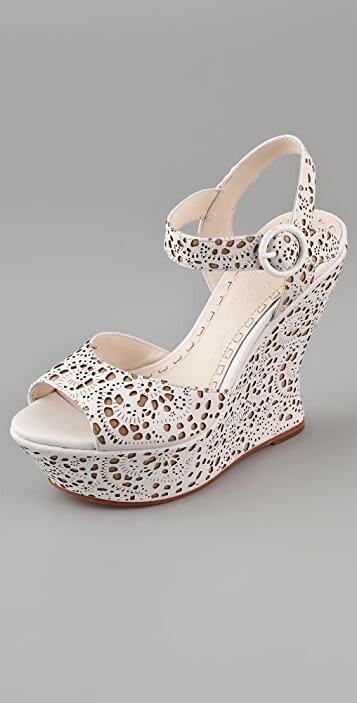 Covered platform and wedge heel. Leather sole. 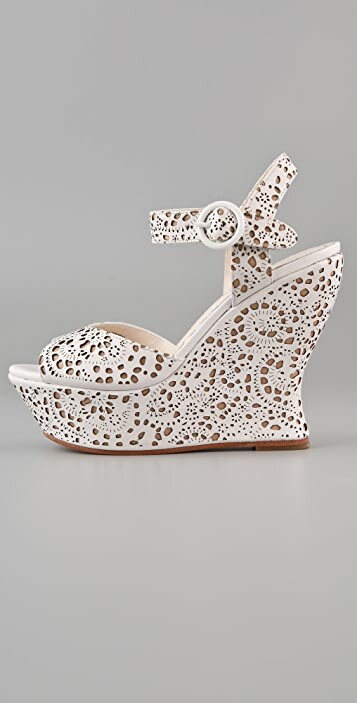 I was looking for wedge sandals for a while that would not make my feet too heavy. These shoes ended my search. So well structured and easy to walk on because they are light-weighted. White is a hard colour to find in a shoe/sandal without looking cheap. These do the trick as the cut-out detail adds texture and interest. Only negative is that the buckle is plastic which looks a little low end. Wedge heel is very, very high. I am usually a 9-9.5 and I ordered a 10 and it fits well, so perhaps order a half size up. Even the packing box is truly fine art. The shoe is somewhat futuristic and extraordinarily elegant. Tremendous and unique!